Have you ever felt like killing someone? Maybe the idea flashed through your mind so quickly you convinced yourself you imagined it. Maybe you thought about it for only a minute. Or a day. Or a few days—because someone terrified you. Or angered you. Or harmed you, or humiliated you. Perhaps they were threatening or hurting someone you love. Killing someone crossed your mind. You’re a fan of crime fiction and maybe also a writer of it. Something inside you finds novelty, thrills, or something compelling that leads you to look at death in the way only crime fiction addicts look at it. You like the puzzle of a good mystery, you say? You read for excitement, thrills, or to learn something new? But it has to have a murder or a wicked enough crime. If killing someone in real life ever did cross your mind, what held you back? Fear of getting caught? Your better self? Full disclosure. I have thought about killing more than one person. The closest I came was after a devastatingly humiliating beating I took in seventh grade in rural New Jersey from three kids who were part of my circle of close friends since kindergarten. They had turned bad that year as they entered the first stages of puberty. After my beating, after I made it home safely, after the great wrenching sobs of humiliation subsided, I went to the town dump in the woods and shot at cans and bottles with my pump action Remington .22 rifle. I had done this a few times with two of the kids. I told myself if either of them showed up and tried anything I would shoot to wound or kill. Neither showed up, and I probably wouldn’t have shot anyone anyway, but I had the motivation and the means. The last time I held a gun in anger or fear was seven years later after I escaped from the battle zone in Los Angeles during the Watts Riots in the summer of ‘65. I took refuge in the home of a friend in the Hollywood Hills. I stayed awake all night, listening to sirens wailing, gunfire crackling, and watching the fires burning on the blacked out streets below. High on whatever you can imagine from those wild and crazy days, I cradled in my arms an old surplus rifle from World War I, loaded with a clip of five shells. I thought about the war going on in the city below as the death toll rose. I thought about what it would be like to go to Vietnam. Two years later, I dropped out of grad school, gave up a cozy student deferment, and became one of the first Vietnam War protesters to go to Canada. Ironically, I was wanted by the FBI for a few years because I didn’t want to kill anyone or be part of the killing machine in Southeast Asia. That didn’t stop me from occasionally thinking about killing someone or at least wishing they would die suddenly when I or someone close to me was swindled, threatened, hurt, or otherwise put in harm’s way. All of the usual suspects. My better self. Fear of getting caught. Humor, irony, perspective, curiosity, a sense of the awe, and a sense of the absurd. Sometimes the person I wanted to momentarily kill, or at least punch in the face, was bigger than me or in a vehicle when I was on foot. Of course, the most wonderful inhibitor of all became and remains my truest friend. Catharsis. As a reader and writer of crime fiction, I can witness or orchestrate the end for the worst monsters. I can puff up my chest and proclaim my commitment to good triumphing over evil. And if I so dare, I can put myself into dark places. I can change into a different person to overcome fear, anger, and other disconcerting emotions. We, as crime readers and writers, can imagine our revenge and feel more powerful. We can weep over violence and death. Or we can laugh in the face of it. Because you like mysteries, I’ll tell you a secret. Remember those three boys who beat me up when I was thirteen? While I didn’t use any of them in my latest book, MurderLand, A Crime Novel, I did use one of their mothers—the mother of the ringleader of the three. 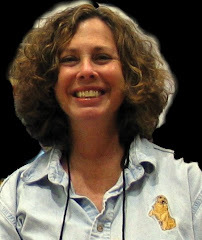 She is the model for Carlene, one of the key characters in MurderLand. Even as a child, I knew what was wrong with my friend. I knew why he was a bully. I had spent time in his house. His mother was tall, slim, beautiful, snobbishly religious, and elegant. She always dressed like a model or movie star and acted like one with her money—before and after her husband died. Even when I was a child, I could see that she hated her son, the bully, and openly favored his older sister. Later, I learned from other parents in the township that she was a pathological liar and a thief. After the sister’s death, she looted the family business behind her son’s back, including the pension fund for the employees, and left the workers without retirement incomes and her son near penniless and near friendless as he succumbed to middle-age cancer. I had no hand in her end, but I was happy to see her go. 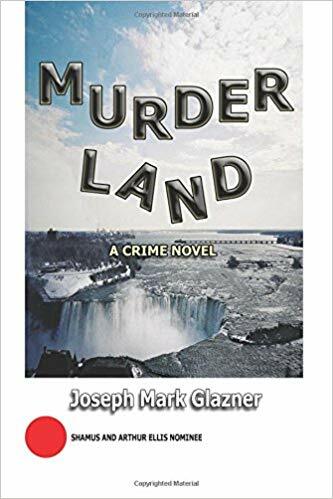 MurderLand is Joseph Mark Glazner’s eighth crime novel and his first in thirty years. 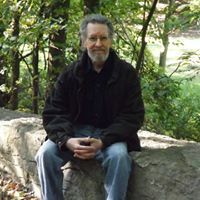 His novel Madelaine (writing as Joseph Louis, Bantam Books, NY, 1987) was nominated in the US for a Shamus for best original paperback and in Canada for the Crime Writers of Canada best novel award. His memoir, Life After America, recounts his first two years in Canada (1967-1969) as an FBI fugitive, war resister, immigrant, tabloid writer, and friend of John Lennon. Glazner and his long-time partner in crime, Joanie Shirriff, live peacefully in Toronto. Hey, Joe! Interesting tale of the woman behind the bullying kid. Character seems constant across the lifespan, for some people.